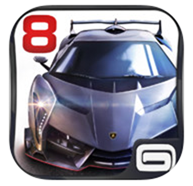 Asphalt 8: Airborne For iOS Now Free To Play, Download It Now! If you have spent time in the Games category of the iOS App Store looking for a fast-paced, adrenaline fuelled racing game then the chances are that you’ve at least tried Asphalt 8: Airborne. The arcade racing game is undoubtedly one of the most addictive offerings that we’ve had the pleasure of getting to grips with and has certainly managed to take mobile racing games to the next level. 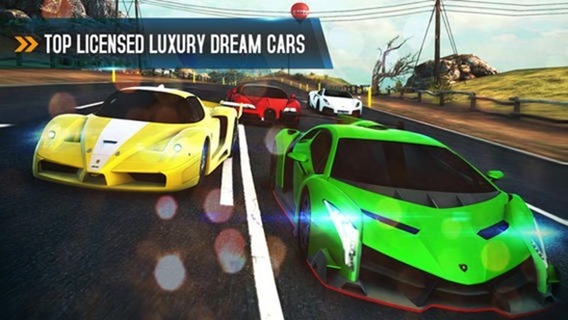 If the gorgeous graphics and nitrous fuelled fun wasn’t quite enough for you then the fact that the game has gone free-to-play should hopefully convince a hoard of new users to get in on the Asphalt action. The game itself features the kind of graphics, visuals and environments that wouldn’t look out of place on a console title. The attention to detail that has been injected into almost every section of the game is to be commended. Asphalt 8: Airborne not only features rich and immersive environments that are inspired by real-world locations but also includes an array of luxury vehicles that make us salivate with excitement when that engine revs. The fact that it’s now gone entirely free to play with additional in-app purchases just adds to that level of fun. The latest update not only offers the free download but also brings a plethora of new vehicles, multiple new racing types and a whole host of new multiplayer tracks. For the next ten days only gamers will be able to use the newly added Renault Clio R.S. car to actually compete for the chance to win a sporty hatchback in real life. The development team has also added a set of limited time cup competitions and a host of new power-ups, boosters and tuning kits that can be purchased through the in-app purchasing system. Controls can now be rearranged at will by the user as well as introducing support for third-party game controllers. 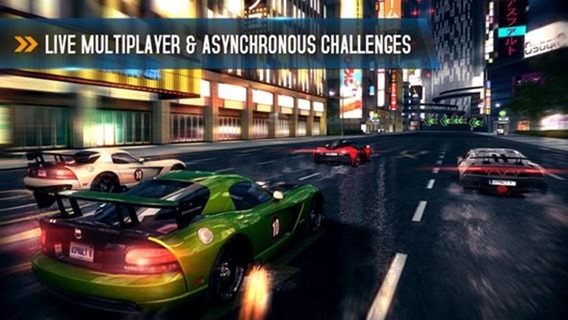 Asphalt 8 is one of the few games on the App Store that has added almost immediate support for Apple’s iOS 7 game controllers that will allow users to interact with the racing action through Made for iPhone controllers from companies like Logitech. Asphalt 8: Airborne was already one, if not the, best arcade racing game on the iOS App Store and it just got a whole load better.